There are few, if any, aspects of contemporary sport that do not raise ethical questions. From on-field relationships between athletes, coaches and officials, to the corporate responsibility of international sports organizations and businesses, ethical considerations permeate sport at every level. This important new collection of articles showcases the very best international scholarship in the field of sports ethics, and offers a comprehensive, one-stop resource for any student, scholar or sportsperson with an interest in this important area. 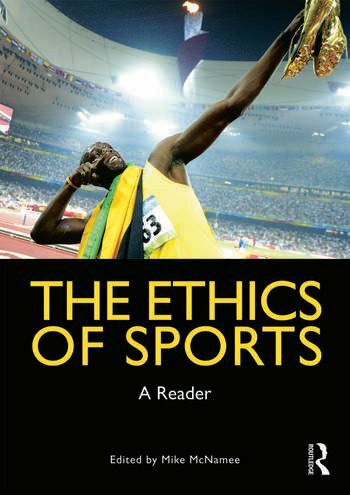 It addresses cutting-edge contemporary themes within sports ethics, such as gene doping, as well as introducing classic ethical debates that define our understanding of sport, sporting conduct and sport in practice. The Ethics of Sports is arranged into seven thematic sections, each of which includes an introduction by the editor that highlights the key themes and places each article in context, and offers suggestions for further reading. The Ethics of Sports sheds new light on a wide range of issues within contemporary sports studies including doping, disability, gender and ethnicity; the practice of physical education and sports coaching; sports media; sports business and sports medicine. It is essential reading for all students with an interest in sport or applied ethics.